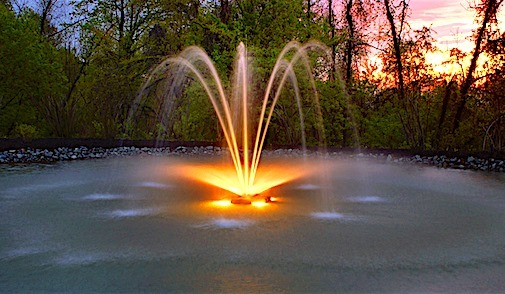 A large fountain can transform a large body of water from a messy area into a beautiful feature. 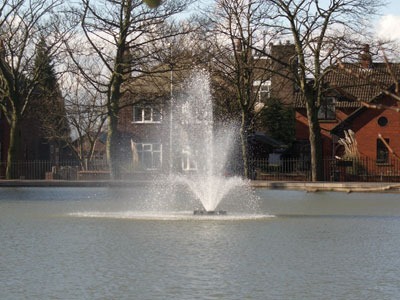 Our fountain systems can restore an overgrown and waste filled pond, to a healthy, attractive habitat without the need to empty it. This can save many thousands of pounds of labour costs and with great environmental benefits. It will leave a more healthy and wildlife friendly pond. 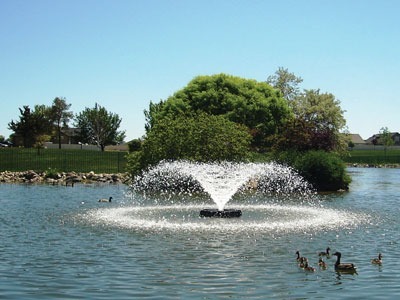 A fountain or aeration system can offer a number of great benefits. It will draw anaerobic water up from the depths (which is cooler) and mix it with the top surface water. This will allow a better balance of temperature through the feature. The dissolved oxygen levels will increase and the overall water quality will be better. The anaerobic zones will be reduced as the water fluid dynamics are improved and reducing the stagnant areas. Head Squared Aquatics are trained and authorised installers of the two largest fountain manufacturers in the UK market. We have all the knowledge to supply you with the ideal, low maintenance/high efficiency systems for your pond or lake. We can also offer sub-surface aeration systems it you are looking for the benefits of the system without the fountain effect. Many of the unsightly smells, anaerobic weeds, blue/purple blanket weed and foams produced in unhealthy water will be banished with the correct fountain specification system. 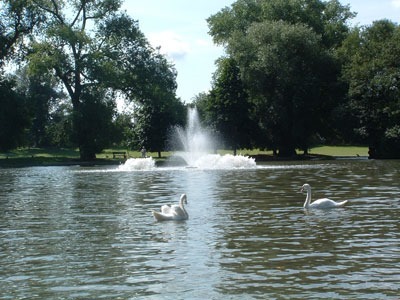 Through scientific testing, it has been proved that a large proportion of the issues blighting water features can be controlled by the increase of water flow and the inclusion of dissolved oxygen. Where bodies of water are old and silting up, these can be controlled and aided by the inclusion of a bacteria to consume the silt. If a fountain is present, we can help the feature by supplying live cultures of sludge busting bacteria. These are much less effective in an anaerobic pond, but if supplied with aeration they can save many thousands of pounds in excavation costs and de-silting.